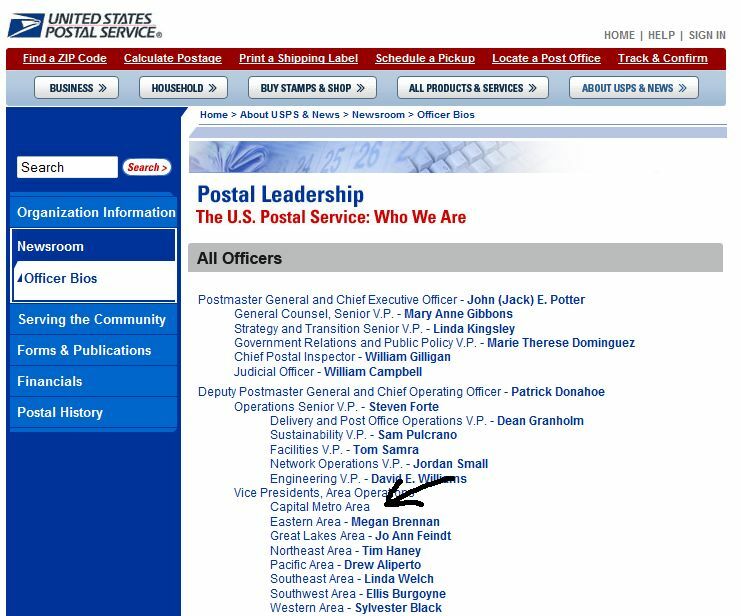 see also the Washington Post: "Bernstock's tenure coincided with record financial losses for the USPS"
Office runs out of stamps- USPS spokesman: "customers should have been directed to other locations where the desired stamps were available"
PostCom: UPS just cut its districts in half- what about the USPS? Will mural set sail after post office sale? Should Stamp Vending Machines Be Brought Back? A bias for scamminess at Stamps.com? US Postal Service or US Postal Business? "Programs approved by this august body have helped push the Postal Service to the brink of financial disaster." Click-N-Ship Labels: Is USPS alienating customers, just to keep delivery scores up? Is the Full Service Intelligent Mail project out of control with risks far greater than suggested benefits? "Traditional mail is increasingly one of the least-regulated marketing channels, and can be used to capture opt-in permission for other, more restricted mediums such as e-mail or mobile." Postal “Storm” Ahead For Catalogers? "Having their say: customer and employee views on the future of the US Postal Service"
PostCom: With inflation under 1%, why are we discussing a 4-8% rate increase? USPS survey found 90% of employees have witnessed harassment- Employee: "your classic bully" USPS: an "excellent manager." Is USPS playing favorites with some Mail Service Providers at the expense of others? "Catalogs Bring A Variety of Good to Americans"
"Just stop risking people's lives, and you'll save an awful lot of money!" Why do Postal Service officials sing the praises of the Intelligent Mail barcode and then not use it on their own mailings? "The Postal Service is an operationally driven organization that has been driven by its own internal operational and engineering desires rather than responding to the needs of its customers." Mayor: "I know they’re hurting financially- but, jeez, get a goat"
"This is a violation of the public trust"
How will the PRC handle the exigent rate increase proposal? Is Moya Greene Royal Mail’s Hired Gun for Privatization?